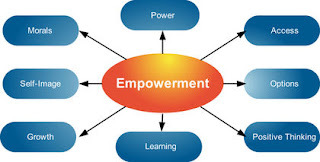 Empowerment, such a complicated word (we have assumed it so) but with a very simple meaning. But the problem is that we are making it more complicated without even realizing it. What is empowerment according to you all? 1) To give power or authority to, authorize especially by legal or official means. 2) To enable or to permit. Out of the above two meanings, first one is very limited. You need other qualifications, or I must say you may need an extra edge to get that level of authority. Moreover it is limited to only few of us. Now coming to the second meaning i.e. to enable or to let. This is something we all own but only some of harness to its full potential. Lots and lots of empowerment related laws are there and lots have been made but don't you think that making a law is not enough? Until and Unless people don't know that what they are capable of, the empowerment concept is useless. 1) Accept that fear is real but temporary. Fear is a natural reaction to anything new for us. Believe that when risk is involved, fear comes along with it. Fear of losing, fear of being let down, fear of bad public image etc. and all sorts of similar fears would come which is natural. But if you go for it, look closely, you will find that all fear is temporary. It vanishes as soon as you start doing it. 2) Practice the art of self awareness. 3) Live on a positive note. You will agree with me on this one. We see things based on our reaction to it. If we are positive about something, we see positive. If we are negative about it, we see negative only. Best thing is to approach even to the bad phases of life positively and you will automatically see everything going on in your favor. 4. Manage all but believe that something you can't control. Permitting yourself to do everything is a good thing but you have to consider one thing that you can't control everything. For example, you can't control weather, you can't control the thinking of other people and the like. Do everything you can do but leave aside things which you can't control. This will keep you free from unnecessary stress. Empowerment is equipping yourself with a mindset that you can enable or give permission to yourself to take up anything or everything what you want to do. If I missed anything, let me know in the comments section below. 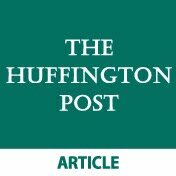 Would love to hear your thoughts on the same.